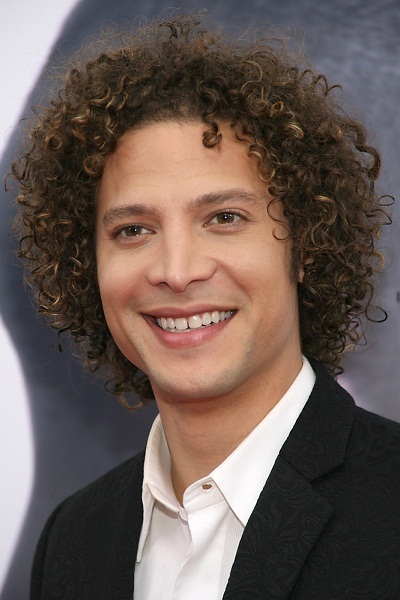 Place of Birth: Columbus, Georgia, U.S.
Justin Guarini is an American singer, musician, actor, producer, and host. He was the runner up on the first season of American Idol (2002). Justin is the son of Kathy Pepino Guarini, a journalist, and Eldrin Bell, an Atlanta chief of police. Guarini is the surname of his stepfather. Justin’s maternal grandfather was Joseph Paul Pepino (the son of Alfred Pepino and Lena Nasella). Joseph was born in Pennsylvania. Alfred was the son of Joseph/Guisseppe Pepino and Maria DelSindaco, who were emigrants from Italy. Lena was the daughter of Paul Nasella and Maria Nicola Panichelli, who were emigrants from province Campobasso in Molise region, Italy. Justin’s maternal grandmother was Therese/Theresa C. Hughes (the daughter of Jack/John Hughes and Catherine/Katherine). Therese was born in New Jersey. Maternal grandparents are Therese/Theresa C. Hughes (daughter of Catherine/Katherine (Dewees?) and Jack/John Hughes) and Joseph Paul Pepino (son of Alfred Pepino and Lena Nasella). Alfred is the son of Joseph/Guisseppe Pepino and Maria DelSindaco, both immigrants from Italy. Lena is the daughter of Paul Nasella and Maria Nicola Panichelli, both immigrants from province Campobasso in Molise region, Italy. I’m not sure if Dewees is Catherine’s maiden name or a remarriage name.